Two promising Filipino skaters are seeking greater experience at competing with the world's best. 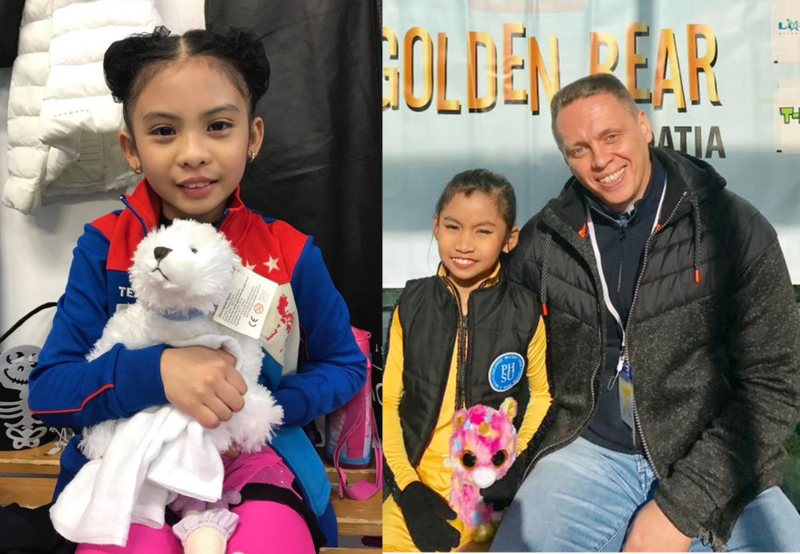 Amanda Sophie Hernandez and Hayden Isabel Balucating, both 9 years old, became part of a select few in the Philippines to compete at an ISU-recognized competition. Hernandez competed at the International Halloween Cup, held in Budapest, Hungary last October 23 to 25. She competed in the Cubs I event, coming in 8th place. Balucating opted for the Golden Bear, held in Zagreb, Croatia last October 26 to 29. She competed in the Cubs II event, finishing 11th. In the future, the hope is that more skaters will be able to represent the Philippines in prestigious international competitions.